We will be discussing recent, relevant opinions in our weekly SoCal IP Institute meeting on Monday, March 21, 2011. The first case we discuss may signal a welcome end to patent false marking lawsuits. The second case sets forth a new framework for evaluating trademark dilution in the 9th Circuit and is potentially a persuasive opinion for future decisions in other circuits. A brief synopsis of the two cases is presented below. In re BP Lubricants USA Inc., Misc. 960 (Fed. Cir. March 15, 2011) (attached). On petition for writ of mandamas from an order of the U.S. District Court for the Northern District of California, the Federal Circuit granted the petition and ordered the district court to dismiss a omplaint under the false marking statute 35 U.S.C. § 292 with leave to amend. Plaintiff Thomas A Simonian, a patent attorney, filed a qui tam relator complaint on behalf of the United States pursuant to 35 U.S.C. § 292 alleging that BP falsely marked bottles with an expired patent. Mr. Simonian’s complaint alleged generally that BP was a sophisticated business entity and that it intended to deceive the public. BP claimed that Mr. Simonian’s complaint did not pass muster under Exergen Corp. v. Wal-Mart Stores, Inc., 575 F.3d 1312, 1327 (Fed. Cir. 2009) and Fed. R. Civ. P. 9(b) pleading. Mr. Simonian claimed that it did pass muster and that his complaint was sufficient. The Federal Circuit noted that there was substantial confusion in the district court regarding the pleading standards and in these types of cases in general, accepted the writ of mandamas petition as proper, ruled that Fed. R. Civ. P. 9(b) pleading with particularity is required under the 35 U.S.C. § 292 and that Mr. Simonian’s complaint failed to rise to that level. Merely asserting generally that parties are sophisticated and should be aware that their patents are expired along with a general intent to deceive the public were not sufficient under this standard. However, the Federal Circuit also ruled that the district court should grant Mr. Simonian leave to amend his complaint as is customary in cases of insufficient pleading under Fed. R. Civ. P. 9(b). At the district court level, the trademark infringement claims were dropped and only the trademark dilution claims remained. 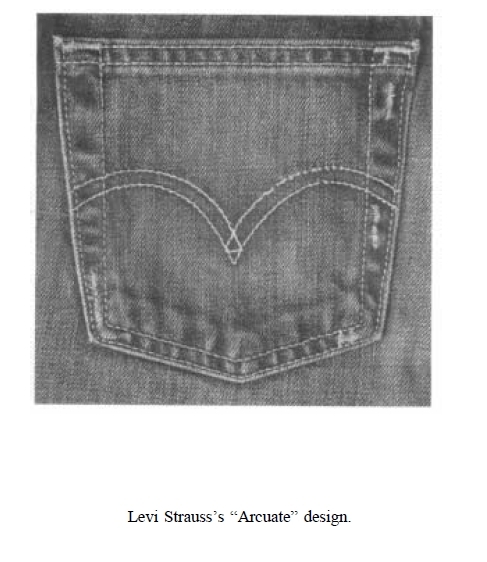 Levis sought an advisory ruling on factual issues at the district court regarding Abercrombie’s alleged dilution. 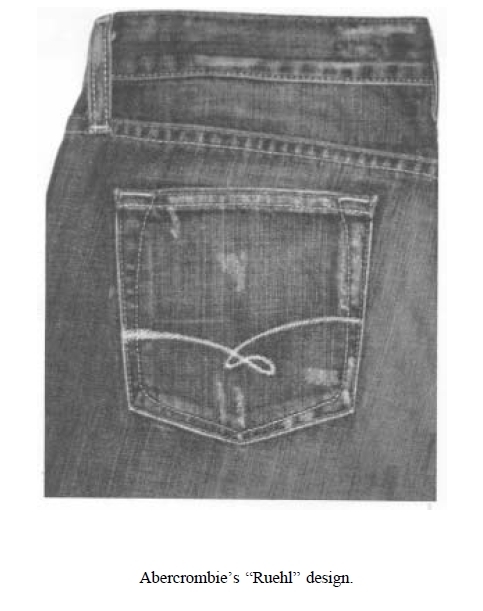 In view of guidance by the court indicating that the designs should be “identical or nearly identical” to one other for there to be dilution, the jury returned a finding that the Arcuate mark was not likely to be diluted by the Ruehl design and the district court therefore ruled in favor of Abercrombie. On appeal, the 9th Circuit reviewed the case-law surrounding the development of the “identical or nearly identical” standard for dilution. The conclusion of this review was that the standard developed in view of the Federal Trademark Dilution Act, not the Trademark Dilution Revision Act (“TDRA”). As a result of the passage of the TDRA, the appropriate standard of review was a multi-factor test, using the factors set forth in the TDRA, to determine whether the junior user’s mark is likely to “impair the distinctiveness of the famous mark.” In view of this substantive change in the standard to be applied by a district court, the 9th Circuit reversed the decision and remanded the case for further consideration under the TDRA. All are invited to join us in our discussion of these cases during the SoCal IP Institute meeting on Monday, March 21, 2011 at Noon in our Westlake Village office. This activity is approved for 1 hour of MCLE credit. If you will be joining us, please RSVP to Amanda Jones by 9 am Monday morning.